In today's interconnected world filled with fun-seeking globetrotters and time-crunched business people racing to catch their next flight, mobile devices have become essential to everyday life on the go. In fact, 75% of U.S. travelers use mobile apps while away from home, and it's not just for booking hotels or checking in for their flights. It's to stay connected with friends and family all while saving a few bucks! Are you traveling internationally and can't seem to stomach the high overseas calling and texting rates? With time zone differences and other stress factors like scheduling calls around your daily piña colada on the beach or a trip to a nearby city center, no one has time to worry about roaming charges or if youll be in your hotel room when the phone rings. So, when it comes to communication apps for travel on a budget, Voxox is one you can't live without. With Voxox you can call and text for free or super cheap no matter where you are. Plus, you can be reached at your free Voxox number anywhere in the world and get free bonus features, like on-the-fly 2-way text messaging language translation, voicemail transcription, call forwarding, photo and video sharing, map and location sharing, and more. It's free to sign up -- mobile and desktop versions available. Everyone loves to get snail mail, especially postcards with pretty pictures and tales of adventure scribbled on the back, but while traveling abroad, finding stamps and a post office isnt always that easy. With Touchnote, you can turn any photo into a real postcard and send it to anywhere in the world -- all from your mobile phone. All you have to do is snap a picture, upload it to the app and choose who the lucky recipient will be. This free app a fun, simple and creative way to stay in touch! This free app makes it possible to have a verbal conversation with someone who doesnt speak your language. You simply talk into your mobile phone mic and the app will say the phrase you need in the language of your choice. You do need to switch the language settings back and forth if youre having a conversation, which makes this a little awkward, but hey  at least you can ask the guy standing next to you for directions and actually understand what he says! If youre a WordPress enthusiast who loves to communicate with the world by blogging about your travels, dont forget to download the free WordPress mobile app to report on your adventures abroad. You can create and edit posts, add images, view stats, and manage comments while on the go. If youre not up for writing, a picture is worth a thousand words! Thats why Instagram is such a popular free app that transforms snapshots into showcase-worthy artwork with fun filters and effects. Give any picture a faded vintage glow, boldly vibrant colors, or a touch of shadowy drama with a simple tap of your finger. But, most importantly  share your masterpieces with friends and family on Facebook, Twitter, Flickr, and Tumblr. 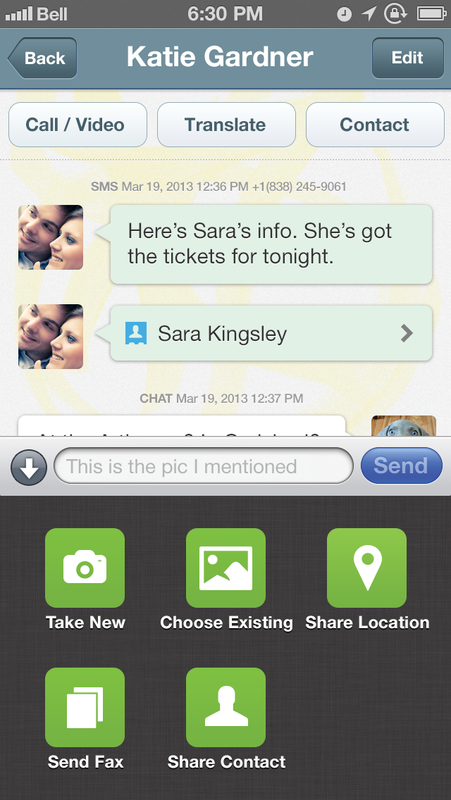 Do you have other tips for staying in touch or favorite communication apps for travel on a budget? Share with us in the comments below or connect on Twitter, Facebook, and Google+.